This easy Sausage and Egg Breakfast Casserole is filled with sausage, eggs, and cheese, baked together on a crescent roll crust. Yay, Thanksgiving is almost here! I can’t wait for turkey, and mashed potatoes, and my mom’s cornbread stuffing, and all sorts of yummy pies! I also can’t wait to see my sister and brother-in-law, and three of the cutest niece and nephews an aunt could ever ask for. The whole day is about family and food, two of my favorite things :). Once the dishes are done, and the kids are in bed, my sister and I will head out for a little Black Friday shopping. I know people have mixed feeling about it starting on Thanksgiving, personally I miss the days of getting up super early on Friday to get the best deal, but it what it is and there are deals to be had. I think we mostly enjoy getting a few hours of sister bonding while we shop. It’s a late night/early morning though, and come Friday morning, when we’re dragging ourselves back to my parents’ house with our haul we’re hungry! 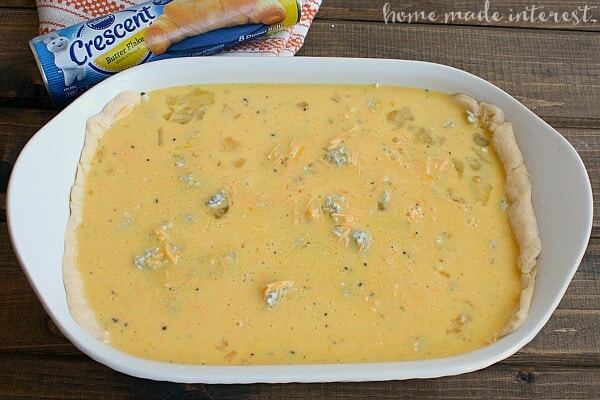 If we’re lucky mom buys a few extra Pillsbury™ Crescent Rolls when she does her Thanksgiving grocery shopping at Safeway and she has this Sausage and Egg Breakfast casserole ready for us. 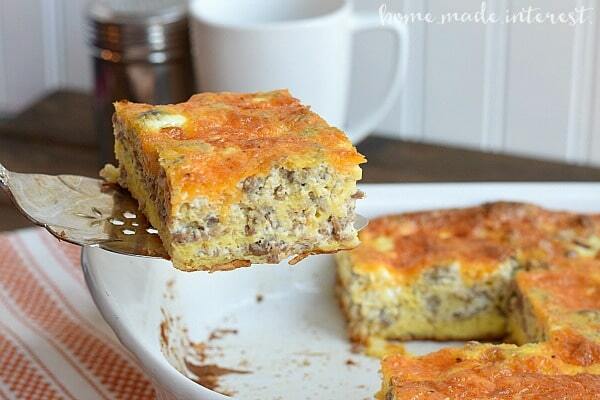 After cooking all day the day before we wouldn’t expect mom to do more work, this breakfast casserole is super simple! 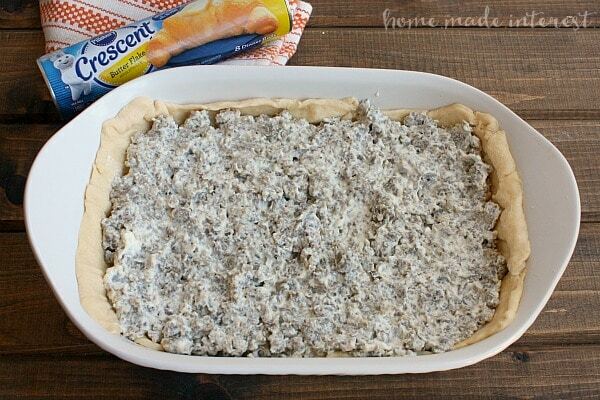 You can cook the sausage and cream cheese the day before, layer it in a baking dish with the Pillsbury™ crescent roll dough, then wrap it in plastic wrap and put it in the fridge overnight. When you’re ready to bake it just whip up the eggs and pour them over it, add a little cheese to the top and pop it in the oven. We usually have just enough time to show mom everything we bought before the breakfast casserole is ready and the kids start waking up and coming down to see what smells so good. I’m hungry just looking at it! 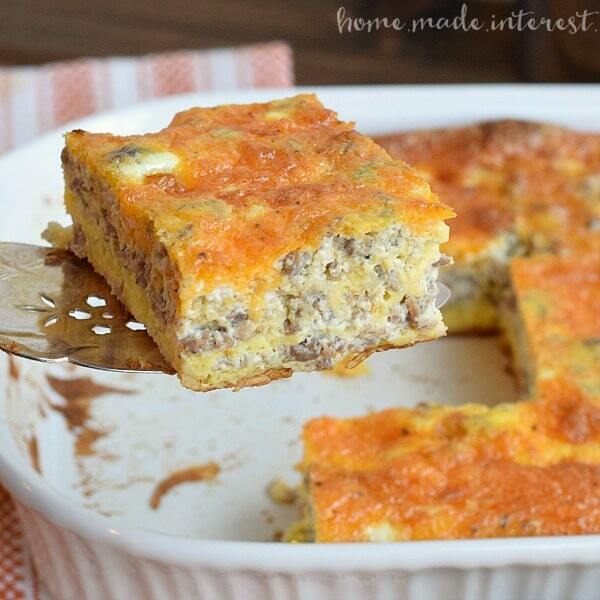 Sausage and egg biscuits are one of my favorite breakfasts and this casserole is even better. 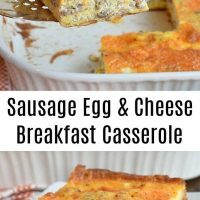 The eggs bake up all fluffy on top and the cream cheese and sausage is so good with the Pillsbury crescent rolls. What is your favorite, easy, breakfast dish for the holidays?